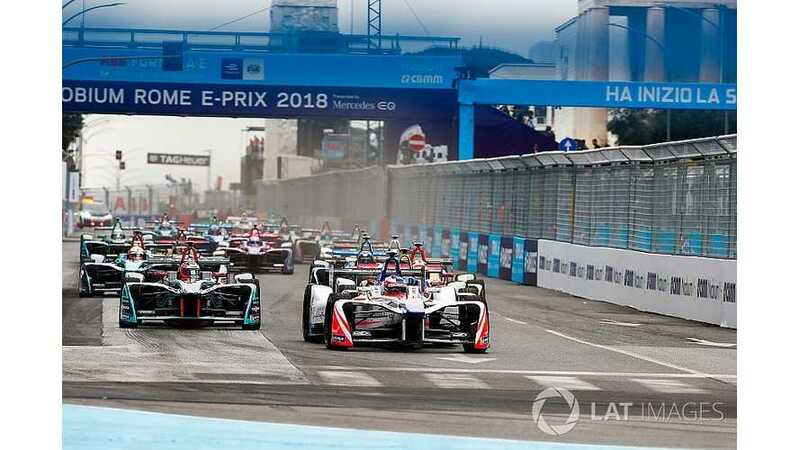 Formula E is evaluating a “Mario Bros” style of race format that could be introduced for the 2018/19 season, Motorsport.com has learned. The electric championship will switch to its dramatic-looking Gen2 machine, which has a battery capable of completing a race distance without drivers needing to swap cars, for its fifth season. In a bid to shake up races when there will be no need to make a pitstop, it is understood that FE is looking at creating a special section of track that will slow down drivers before allowing them access to the alternative power modes that will be mandatory from next season. Once drivers have moved offline and taken the special part of the track – which is not comparable to the joker lap sections used in other series – they will be able to use the higher power modes. When asked about the potential changes to the race format by Motorsport.com, FE CEO Alejandro Agag would not confirm or deny that a decision regarding its implementation had been taken, as race formats are the responsibility of the FIA. “ that is something we’re looking at – it would be like Mario Bros when they get the little star and go faster,” he said. Agag added that there should be no concerns that without pitstops FE races will become processions once the new cars, which can hit a peak power output of 250kW (335bhp) and were recently given initial running by the nine manufacturers that will compete in season five, are introduced. “What is very clear is a procession is not going to happen because these elements are going to shake everything up – it’s going to be pretty exciting,” he said.